Silky and dry, eco-certified sunflower and botanical oil extracts promote supple, elastic skin for long-lasting non-greasy comfort. Apply to freshly cleansed skin for silky, smooth and shimmering skin. BodyMist Vitamin E BodyOil offer a dry, light-weight finish. Non-greasy recipe adds shimmer and shine to dull skin. Gorgeous when sprayed after bathing to help retain moisture. 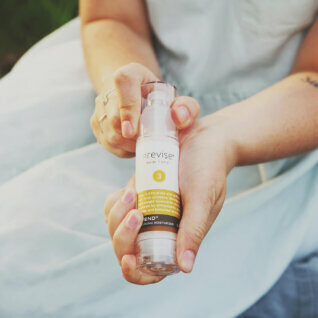 Simply mist a thin layer directly onto your legs, décolletage, arms and anywhere else that needs little extra love. Free from parabens, petroleum, mineral oil, synthetic fragrance and dyes, xenoestrogens, PEGs, glycols and phthalates. Previse was born in dermatology and the science of skin’s physiology. Our bio-healthy company uses sustainably sourced ingredients from the sea and the farm blended together to deliver ultimate potency while fully respecting our natural surroundings. At Previse we borrow what nature creates and return what we borrow in good faith. Our ZeroFragrance botanical and marine enriched products are crafted specifically for moms and those with sensitive skin. 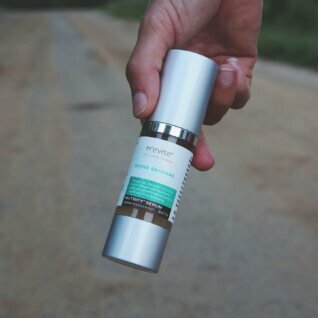 Hypoallergenic, pH balanced and paraben-free, our ZeroFragrance products are designed to align with your physician’s recommendations. We added zero essential oil. We chose natural marine and botanical ingredients that have little or no aroma. Based on trials there is no perceivable aroma to the ingredients we've selected. • Eco-certified organic Helianthus Annuus Seed Oil, commonly known as Sunflower seed oil, has high a concentration oleic acid, linoleic acid, and Vitamin E. Our sunflower oil extract is extra fine and non-sticky for easy application to help improve skin hydration and provide antioxidant protection. • Tocopherol, or vitamin E, is a natural extract added for improved antioxidant benefit to fight skin damaging free radicals. Apply BodyMist anytime your skin needs a drink of hydration and shimmering glow. Lovely when applied after bathing. • Non-greasy recipe adds shimmer and shine to dull skin. • Apply after bathing to help retain moisture. • Mist a thin layer directly onto your legs, décolletage, arms and anywhere else that needs a little extra love. • Lightly massage to warm the skin and help BodyMist absorb. • For additional coverage repeat. • BodyMist is free of parabens, petroleum, mineral oil, synthetic fragrance and dyes, PEGs [polyglycols], and phthalates.